Story: Rasmus Dyrepasser is the pleasant zookeeper, taking care of all the animals at the zoo. 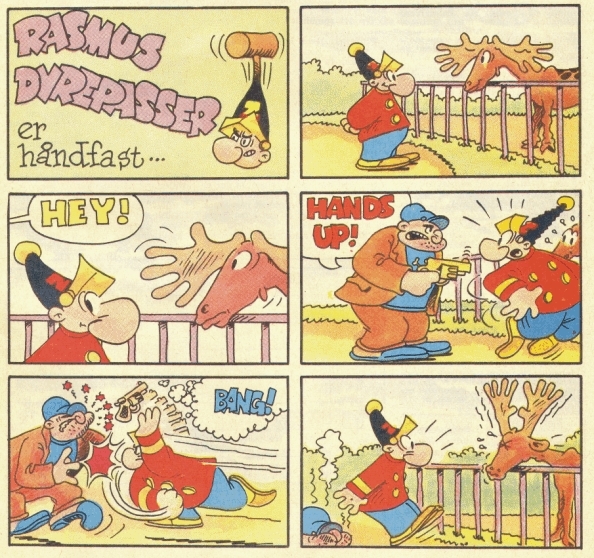 Background notes: Rasmus Dyrepasser is the series about the zookeeper Rasmus (Dyrepasser is a generic name for a caretaker of animals in Danish). The series was made by Holger Philipsen who is mostly known for his series Carlt, and is today only a small note in Danish publication. 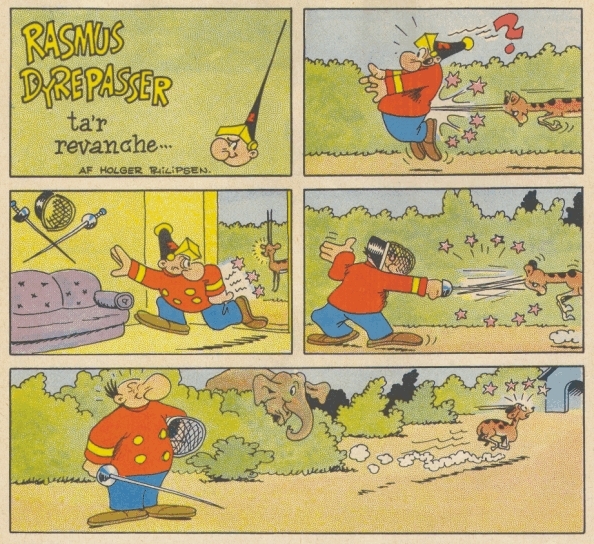 Most of the series is pantomime, but from time to time a few lines or explanatory signs were needed to make the jokes work. 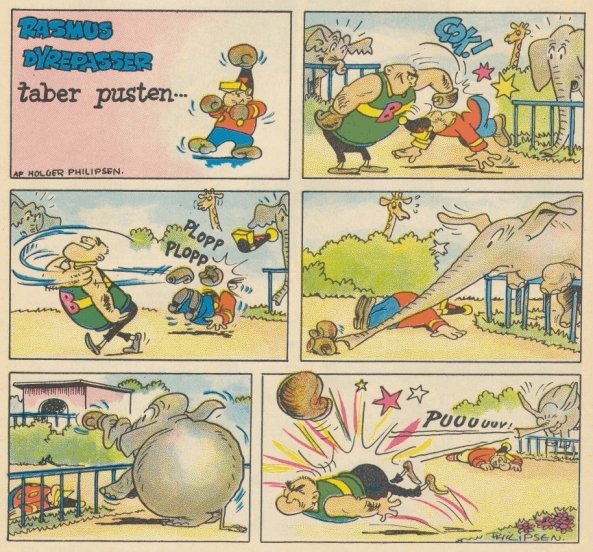 The series like his other series is a purely Danish phenomenon, and only ran in the weekly Danish anthology series Skipper Skræk (Skipper Skræk is the Danish name for Popeye the Sailor). The series ran from #40 in 1955 thru #13 in 1963, except #50 from 1962. Ferd'nand: Same type of pleasant silent humor. Zoofus: Another zookeper with special animals.